First and foremost, you should know that this is a guide that contains our top picks in different baby categories, so far this year. These are not the best baby products of 2015, as we couldn’t possibly know how good products are that have release dates some time in the future. This is why we will regularly update this guide going forward this year, including any products that we consider deserve to be among the top choices. So make sure to check back to see any updates. 2015 brings many enhancements to products that raise the quality of life of both children and parents. We believe that products in general, but baby products especially must offer real value providing as much functionality as quality of design. One of the best ways to determine how good or bad a product is, is to read reviews and ratings offered by parents who have bought and tested it in different environments. This is an important factor that we took into account when deciding on our top picks. Another big factor that went into our equation was value for money. 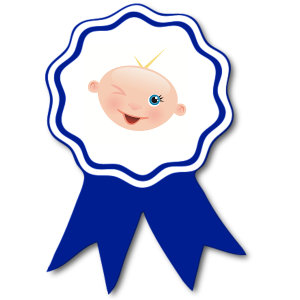 A top baby product should offer high value for a price that is fair, considering what is offered. Overspending is not necessary, in order to get high quality goods. There are great options at every level, that can meet any of you specific needs. Many parents that live in urban areas find it hard to fit many large baby products into their apartments. This is a rising issue because many young families move to urban areas. There are many large products on the market, but many manufacturers focus on designing new products that are as compact as quality standards allow. We also look at how user-friendly products are before considering them for inclusion in our top list. When we decided to start our research process for this guide, we faced a pretty complicated situation. There are so many kinds of products for babies, or that have some kind of connection to children. We were pretty stuck in our process, but after some debate we decided on featuring our top picks in 15 baby product categories, as follows: cribs, crib mattresses, single strollers, double strollers, convertible car seats, baby monitors, bathtubs, carriers, bottles, breast pumps, toys, diaper bags, diaper pales, highchairs, potty chairs. The crib is the central piece of any nursery and the place where your baby will spend most time during the first years of his life. Because value for money is an aspect that we always consider, our research has shown us that convertible cribs, that can turn into a toddler and full size bed, are the best choice. This way, you can invest in a high quality convertible crib, and your kid will be able to use it for years, as it will grow with him. 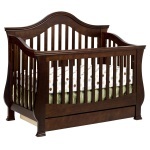 See our top picks in convertible baby cribs. 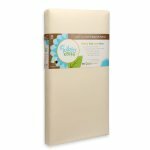 Mattresses are one of the most important parts of the bedding of your baby. Because babies need a lot of sleep, you should select a mattress that not only fits your crib of choice but that also offers your child the support and comfort he needs at this young age. If you have a crib and are looking for a mattress for it, make sure too check the dimensions, so that they fit. You probably don’t want to go through the entire process of finding a mattress that offers exactly what your looking for, just to find out that it doesn’t fit. Read our guide on finding the best crib mattresses and see our top picks. If you have twins or 2 kids of close ages, then you probably know how hard it is to go outdoors and keep everything under control. If you don’t already have one, the best solution to this situation is getting a double stroller. There are many types that you can choose from, and we decided to feature a jogging double stroller, because we believe that your healthy lifestyle doesn’t need to change once you have kids. Double strollers fall under two categories: side-by-side and tandem. There are pros and cons to both kinds. 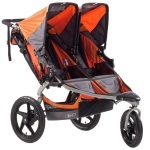 Read more about tandem strollers, or check out our guide on choosing the best double stroller. 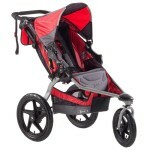 If you only have one kid and are not planning on having any more too soon, then you would go for a standard stroller. We’ve selected the BOB Revolution SE Single Stroller as being the bet choice, not only because we really loved the double version, but also because it has many advantages over other competing products. 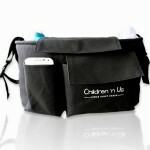 It’s offers a lot of comfort for your kid and is great for travelling because it can fold easily, fitting in most trunks. It’s does well on uneven terrain and is perfect if you want to go jogging and take your kid with you. Video baby monitors are some of the coolest gadgets that you can get to help you be more efficient while always being able to keep an eye on your little one. It makes your life as a new parent more manageable, helping you being more in control of everything. Some monitors are capable of offering two-way talk, so that you not only hear your baby, but are also able to communicate with him instantly. Find out how to find the best video baby monitors and see our top picks. Safety is a an important aspect of life, and even more so now that you have a kid. As travelling turns more and more into a daily necessity, the chance of getting into an accident increase dramatically. Using an infant car seat for your kids while travelling together is an absolute must. They make travelling safer, increasing protection in case of a crash. There are different types you can choose from, but convertible car seats offer the most value for money. Your kid can use them starting from the time when he’s a baby until he doesn’t need an infant car seat any more, adjusting it accordingly along the way. 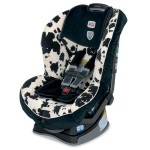 Read our guide on convertible car seats to learn more about these products. 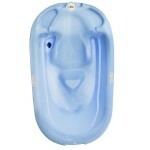 Another important thing you need to purchase, preferably before your child gets born, is a baby bathtub. There are so many advantages of these products that you will absolutely have to get one for your kid. From the models that are available right now, we selected Primo EuroBath Blue as our top pick, because it offers great support and comfort for your baby and has a nice size. It’s currently also the best possible value for money choice, because you can get it at a 70% discount. Even if you have a stroller, you might want to carry your baby, especially during the first few months of his life. That’s when a baby carrier comes in handy. 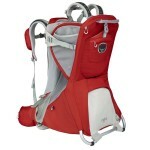 From the multiple models that you can find right now, we chose Osprey Packs Poco – Plus Child Carrier as being the best. It’s really sturdy and protects the baby well, at the same time offering him the comfort he needs. It’s far from your average carrier. Baby bottles are essentials right from the moment your baby gets born. You will probably need different types of containers along the way, so according to our research, the best choice you can make right now by far is going for the Philips AVENT BPA Free Classic Polypropylene Essentials Gift Set. It contains all feeding and sterilizing essentials. The package contains a 6 bottle sterilizer, two 9 ounce bottles and two 4 ounce bottles, a bottle brush, a formula dispenser, a pacifier and a trainer cup. Highchairs are another important product when it comes to feeding your child. When you think about it, it’s really hard to feed him without one. A quick search will lead you to an abundance of options. Some have better features than others, but ultimately, you would probably want to go for a model that you can use for an extended period of time. 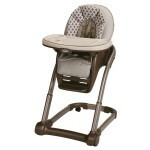 Our top pick, considering the options currently available is the Graco Blossom 4-in-1 Seating System. We chose this one because we found it to be one of the most adaptable, versatile and easy to use highchairs. Your baby will need breastfeeding the first couple of years at the beginning of his life, in order to develop correctly. Besides offering your baby all the necessary nutrients, breastfeeding will develop his immune system. But as good as breastfeeding is for your baby, it’s something you can’t really do everywhere. This is where a breast pump can be a useful product. The one we recommend, is actually a package. The Medela Pump In Style Advanced Breast Pump Backpack contains: tote bag with integrated motor unit, AC adaptor, battery pack, insulated cooler bag and ice pack, 5 ounce breast milk bottles, 24 mm breast shields, PersonalFit connectors, valves, tubing and instructions. You can save 24% on this package if you click this link. There comes that time after the first few months of your baby’s life when you should start some potty training with him. 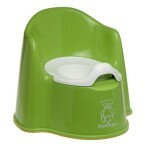 This can be a really fun and comfortable learning experience for him if you select a potty chair that he likes. You might think that there are virtually no differences between competing designs, but you should know that the differences will be found in the details. The BABYBJORN Potty Chair has and ergonomic design with soft lines and is very comfortable for your child. It is sturdy enough and a nicely designed high backrest and armrests. 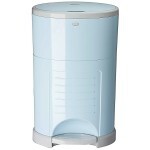 The inner potty is easy to remove and clean and it even has a splash-guard that will prevent from spills. 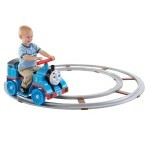 Power Wheels Thomas & Friends Thomas with Track. When it comes to toys, especially those designed for babies have to be fun but safe at the same time. We think that most toys should offer some kind of learning experience. But when we stumbled over the Fisher Price Power Wheels Thomas with Track, and learning from parents how much their kids love it, we had to feature it in our best baby products 2015 guide. The train not only runs on the tracks but also around the house, or outdoors. Its maximum speed is up to 1 mile an hour on track, and 2 miles an hour off track, so it will not break the land-speed limit, but it will be a lot of fun for your kid. It features an easy push-button on/off mechanism. Leaving all the details aside, wouldn’t you have loved this toy when you were a kid? If you think your kid will too, then you can check it out on Amazon by clicking here. When you go outdoors with your child, you will have to take some diapers with you, that’s out of the question. A good diaper bag doesn’t have to be made by a designer (unless you want it to be) to offer enough storage space for diapers and all of your stuff. The Parents for Parents Diaper Bag For Strollers, Bikes And Cars is a great choice that will surely offer enough storage space and will not brake the bank doing so. Diaper Dekor Kolor Plus Pail. Because dirty diapers tend to build up fast, you absolutely need a separate place where you can stow then. It’s not a product that you would want to spend a lot of money on, and you can find some really nice models for a fair price. Although the primary role of diaper pales is functionality, you would want to look for one that is easy to use and is capable of keeping the contents away from curious toddlers. One of the most stylish option that falls under these guidelines is the Diaper Dekor Kolor Plus Pail, which is why we decided to feature it as our top pick. Because we will be updating our best baby products 2015 list regularly over the course of the year, make sure to check back to see them. If you found our guide useful, share it with the people that would thank you for it.